Click the button below to add the Mexican Stair Riser Mix to your wish list. Colonial hacienda and Spanish style patterns make up this Mexican Tile stair riser mix. The lot tiles are 6x6 inches perfectly suited for installing on stair risers. Then patens within the mix are similar to the product photo. Delivery from Mexico to USA and overseas might take four weeks. 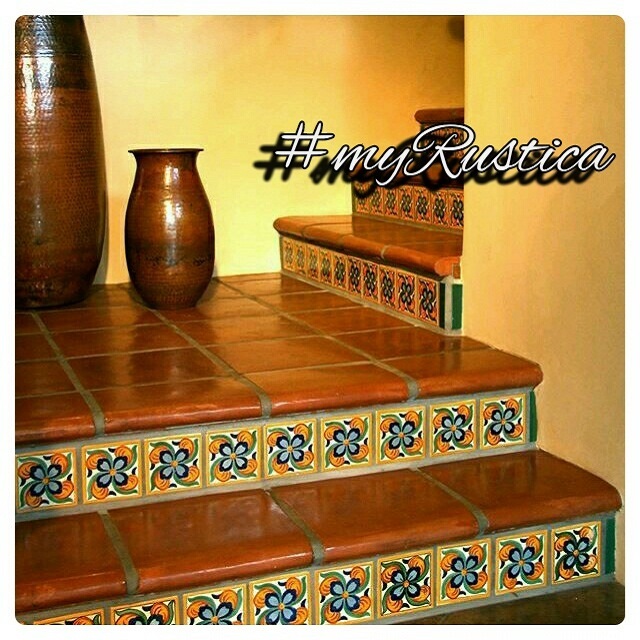 If you need just a few mexican tile patterns for your staircase please see Rustica House "tile patterns" department for variety.